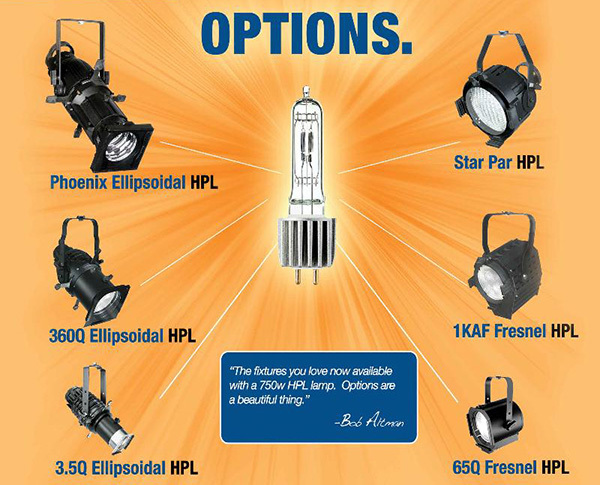 Barbizon Lighting Company Blog: You Can Now Purchase New or Convert Older Altman Fixtures for HPL Lamp Family! You Can Now Purchase New or Convert Older Altman Fixtures for HPL Lamp Family! Have you ever wished your current Altman Lighting fixtures could be operated with a HPL lamp? Now you're in luck! 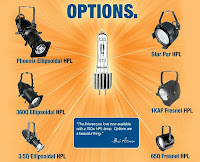 Altman Lighting recently announced that they will now offer all these fixtures in a HPL version. These popular lighting fixtures are now able to be specified and operated with any of the HPL lamps from 375 to 750 watts. This gives theater designers and technicians the opportunity to reduce lamp inventory and greater flexibility to design the lighting rig. This is also very exciting news if you have older inventory, you will now be able to upgrade to use the popular HPL lamp family. Below are the order numbers for the complete line of HPL fixtures offered by Altman Lighting Inc. To quote Bob Altman; "The fixtures you love are now available with a 750w HPL lamp. Options are a beautiful thing"
For more information and pricing contact your local Barbizon office at 866-502-2724.